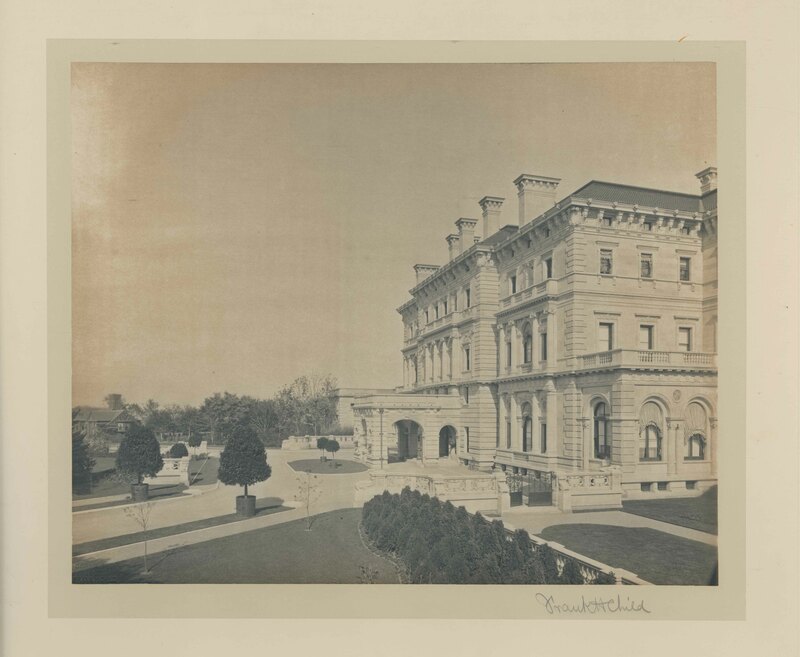 Photograph of the entrance facade of The Breakers. Taken from the side facing Shepard Avenue, the porte-cochere is visible from the side, as well as various hedges and landscaping. Photographer's signature in lower right corner on recto, "Frank H. Child." For more information about this item, please contact its owning institution. Vanderbilt, Alice Claypoole Gwynne, Mrs.